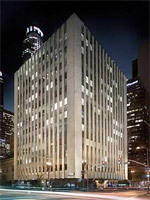 Mid-century landmark located in the heart of Downtown L.A. Located on higher floors. These rooms are 280 square feet in size, each with a queen size platform bed. There is a large screen TV, MP3 player, and a big see-through, glass walk in shower (no tub). 380 square feet in size. There is a king size platform bed and a huge see-through walk in shower (no tub). 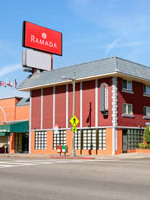 Large screen TV, MP3 player with complimentary high speed and wireless internet. In the Double Standard room the see-through shower is covered with a curtain or frosted. 420 square feet in size. There is a King size platform bed and sitting area. An oversized bathtub sits in the middle of the room with a spacious vanity area and a separate water closet. Parking is available at the Natural History Museum and at various lots throughout Exposition Park (Lot 3 being the closest). It costs ~$10. UPDATE: PARKING IS NOW FREE! YAAAY!